It’s a troubling time for the economy. What is even more troubling and perplexing are the tax bills. Accountant or not, all tax debates currently being held in the Senate will confuse you. For some, the debates in the Senate are like a spectator sport. All 529 members of the Senate use their time to recount their positions on many different subjects. But, what does all of this mean for you? Confused, are you? Most Americans are baffled and worried about their tax bills and, even hiring an accountant, won’t relieve them of their misery. It’s not easy to understand or figure out what the consequential debate will represent for tax paying Americans. In the upcoming ten years, it is expected that residents of Florida and Texas will receive approximately $30 billion in tax cuts while, on the other hand, New Jersey and California are going to raise their taxes to the tune of $17 billion. Not even TurboTax will help while waiting for the projections to be updated nor would anyone who is knowledgeable on the subject, because all of the laws are evolving and changing. The modification of a single law can have grave consequences if not understood adequately or if they are simply overlooked. It’s almost impossible to predict the result of the debates or forecast what kind of decisions the policymakers will eventually conclude. 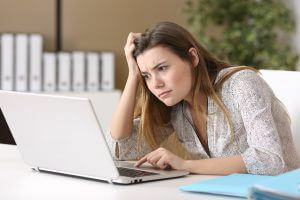 With confusion prevalent, software like TurboTax will only be able to give accurate results if the laws are programmed into it, but that’s not possible without understanding the current laws that are constantly evolving. To be able to be in a better position to completely comprehend tax bills, even if you’re not an accountant, jeering or persuading your elected representative is irrelevant. Knowledge about their viewpoints on how they are going proceed with tax laws is crucial to be aware of. Their decisions have an impact on policies, so it is important to get a feel for what is to come. As a citizen, it makes total sense. But, as an accountant, things will be tough. Imagine the length of frustrations that these professionals will endure just to get the numbers right! They must predict, forecast and equip themselves with laws, tax bills and policies that are constantly being revamped or refurbished. Some client’s scheme and use this opportunity to slide one in. For example, a friend who is an accountant, has a client who wanted to pay him in advance for the cost of preparation of their tax and all documents related to it. By paying, the dedications would appear on paper per and under the current tax bills, allowing the client to save some $300 by prepaying the accountant. Proactive citizens understand, from experience, what is happening with their documentation. But, what about elderly clients or those uneducated on the subject? By generating medical expenses which may be lost if the House convenes it, how is one able to explain it in a positive manner? Many clients receive payables that are taxable such as pensions and retirement accounts used for necessities like medical in-home care and nursing homes. If these deductions for such expenses go missing, it will mean higher tax bills. People will run out of money and cost the government, through the same tax bills, more money by going onto Medicaid. This isn’t cost effective. Prepaying, then, doesn’t seem like a bad idea, does it? Clients save money. But, at the same time, this will enable clients to withdraw more money from funds for retirement if the House proposes against it. There are no simple ways to understanding tax bills but, by being aware and knowledgeable, some of the confusion is diminished. Especially for home owners who would welcome simplification acts that were actually simple! https://www.completecontroller.com/wp-content/uploads/cclogo_main-long-300x63.png 0 0 Complete Controller https://www.completecontroller.com/wp-content/uploads/cclogo_main-long-300x63.png Complete Controller2019-01-15 13:51:462019-01-16 12:34:16Confused by Tax Bills? You’re not Alone.